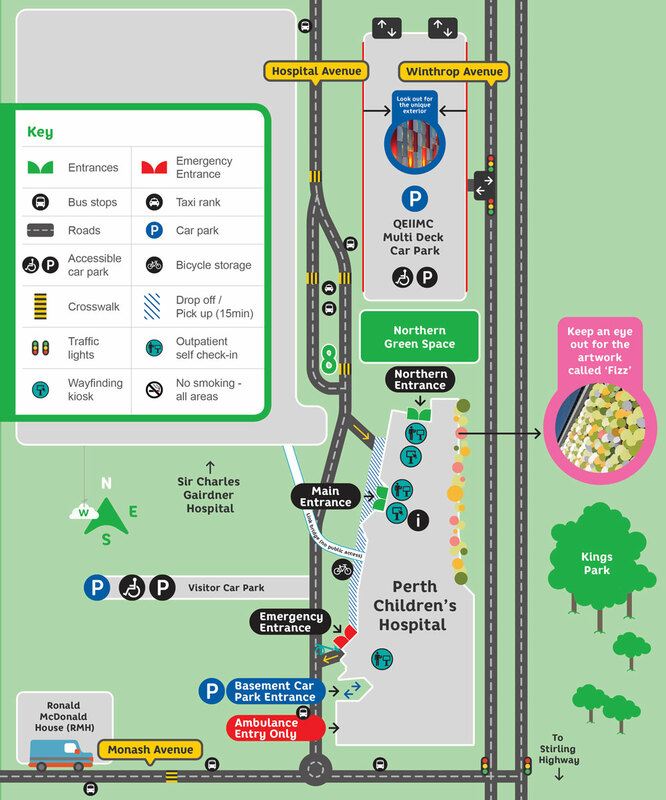 PCH is located on Hospital Avenue in Nedlands, on the QEIIMC site, next to Sir Charles Gairdner Hospital. The hospital is bordered by Winthrop Avenue and Monash Avenue in Nedlands. 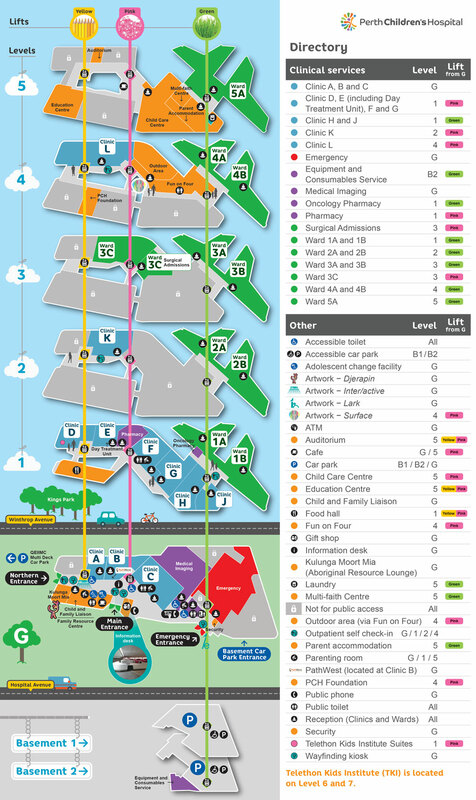 Complete map of the site and main hospital building (PDF).